Musarrat Nazir Pakistani Artist and Actor. She was born on 13 October 1937 in Lahore Pakistan. She is very popular actress and singer and also Film Director. She is great Pakistani singer and she create great name in Punjab Folk Music. She is great Folk Music Singer and she had keen interest in music and began singing for Radio Pakistan in 1950. She was born to a middle class family. Her parents were of Punjabi Kashmiri origin from Lahore. She played the lead role opposite Santosh Kumar in Pattan 1955. However, insufficient money from the Radio took her to the Film Director, Anwar Kamal Pasha in 1955. She explained to Pasha about her strong desire to sing for the movies, she started work in movies from permission of her father. After that she called great actress of Pakistan Film Industry. She gave performances in Pakistan cinema's greatest melodramas many great movies. She got best actress Nigar Awards in 1958, 1959, 1962 and also Pride of Performance Award in 1989. She was great actor and singer of Pakistan. She has sung and acted in many Urdu and Punjabi Movies. 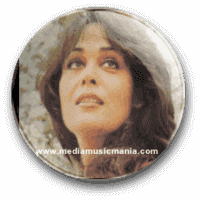 She also sung solo, mostly wedding and Folk Songs Urdu. The producer was Sheikh Lateef and the film was directed by Luqman. She has given all time Super Hit Film "Patay Khan 1955". She has given great performance as supporting actress. I have selected below most popular Music of Musarrat Nazir.